What Happens During a Preventive Care Exam? There are many steps that occur during your pet’s wellness exam. A history is taken about the pet’s lifestyle. Next, temperature, pulse and respiration rates are recorded as well as the pet’s weight. Then the veterinarian will perform a nose-to-tail exam. The pet’s eyes, ears, mouth, lymph nodes, heart, lungs, abdomen and musculoskeletal system are evaluated and recorded. Recommendations will be made for your pet’s health. These recommendations could include dental care, nutritional counseling, behavioral advice and pain management. Any needed vaccinations are performed based on your pet’s lifestyle and the duration of immunity of the vaccines. (Some pet owners choose to receive immunizations at “shot clinics.” While this is one way to ensure up-to-date vaccinations, you will not receive the many components that are part of a wellness exam and preventive healthcare for your pet.) Finally, based on the physical exam and lab work, recommendations are given to achieve and maintain optimal health for your pet. We recommend regular wellness exams for the same reason your physician and dentist recommend them – if you can detect a problem in its early stages, it's more likely to be treated and resolved with less expense, less difficulty and better success. As the saying goes, an ounce of prevention is worth a pound of cure. Pets are genetically wired to hide any illness. Through routine wellness exams, preventable diseases like obesity, ear infections and dental disease can be addressed, and early screenings for arthritis, diabetes and kidney disease can be performed. The net result of routine wellness exams is early detection and prevention of disease, which means a healthier and longer life for your pet. Even pets that appear happy and healthy can have hidden medical problems that might grow serious, even life-threatening, if left undetected. Lab tests are essential for identifying diseases at the earliest most treatable stage possible. Pets can’t tell us when they’re ill - lab tests can frequently detect illness in your pet before we see any outward signs of disease. And, treating your pet early can lead to a better outcome and possibly lower treatment costs. Detection through lab tests helps prevent and treat potentially dangerous illnesses. Sick or senior pets often have more than one disease affecting them, complicating diagnosis and treatment. Lab tests can help pinpoint the problems. Some medications can harm pets with underlying problems like kidney or liver disease. Blood tests can ensure your pet is healthy enough to take the medication and identify unwanted side effects of medications. Even in young and healthy pets, lab testing gives us a valuable baseline picture of what represents good health for your individual pet and rules out hereditary disease. 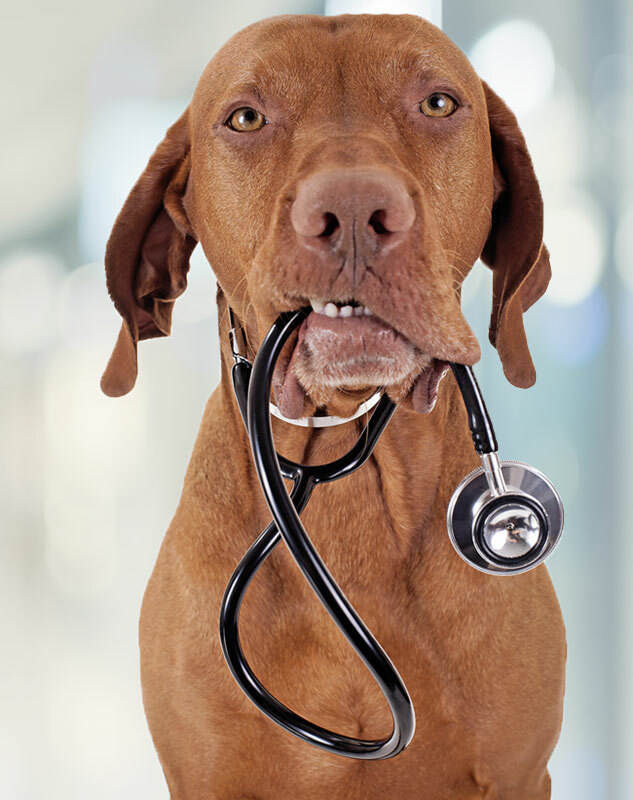 A recommended part of your pet’s annual exam, lab tests can spot health trends sooner, before they become more serious. What Does a Lab Test Look For? Complete Blood Cell Count (CBC) provides important information about the types and number of blood cells in your pet’s blood. A low red blood cell count, for example, indicates anemia, while a high white blood cell count can indicate an infection, chronic inflammation or other disease process. Blood Chemistry Profile is particularly important for evaluating organ function (e.g. liver, kidneys, pancreas), electrolytes, blood sugar,screening for presence of an endocrine disorder, etc. Any abnormalities will help us decide on further diagnostic tests or treatments. A Heartworm Test can detect evidence of heartworm disease before significant damage is done to the heart. It can take years for a pet to develop symptoms of heartworm disease. Early diagnosis minimizes damage to the heart and decreases the risk of treatment. Intestinal Parasite Test screens are performed to prevent zoonotic diseases (transmissible to people) and to prevent illness in your pet. Why does my young dog need annual blood tests? When basic lab testing is done as part of your pet’s annual exam, the results are recorded. We can then review your pet’s chart at each subsequent exam and spot any abnormalities or trends sooner, before serious diseases can develop.